About a half hour north of Philadelphia airport, one man never rests. 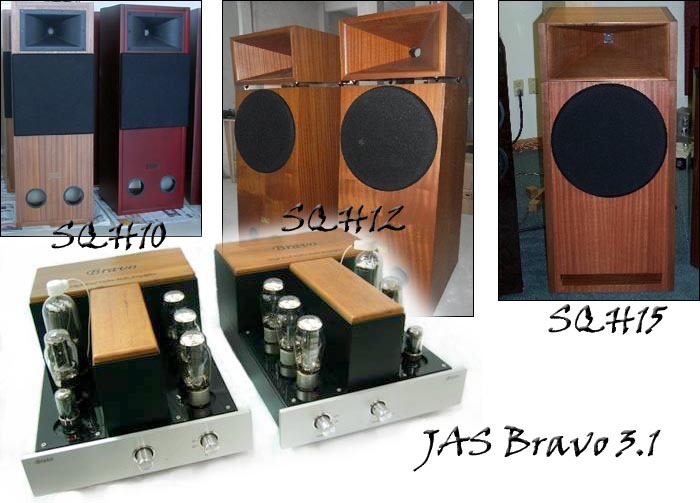 Steve Monte of NAT distribution and Quest for Sound should not be a new name for most our readers as in the past he's brought to the US brands like Consonance/Opera and more recently Raysonic, JAS and Mark & Daniel, all recognized broadly for performance and value alike. Quest for Sound in Bensalem, Pennsylvania is about an hour's and a half drive from where I live but I like to take the trip once or twice a year just to get a chance of chatting with Steve. I rarely come back empty handed when it comes to news or review ideas. What I like about Quest for Sound even beyond the gear is that each time I go, I step back in time by 20 years and rejuvenate. It's not the clutter of vintage and modern gear, not even the dominance of high-efficiency speakers. It is the atmosphere. It harkens back to when folks would just come and sit down to listen to whatever gear and music happened to be playing - even if they did not intend to buy anything. It was a time when you did not have to wave a $50,000 check in somebody's face to get help; a time when plasma screens and surround sound did not belong. For that reason no matter the time or day, you'll never be alone when visiting QFS. You can count on one of the familiars being there to engage you on the latest JAS amplifier or the respective merits of Totem speakers - or in my case, the conclusions of a review written months ago. If by a rare stroke of bad luck you'd actually end up alone in the store, Steve Monte can always give you a full account of the Grateful Dead's history. He's a living memory of Rock so you'll never be short of conversation topics. Oh, and if you want to buy something, he can help with that too. This time, I had another reason to go visit. Steve Monte stepped up his own line of gear (SQ for Sound Quest) by adding three ambitious horn-loaded high-efficiency speakers. A few years back I had reviewed Steve Monte's first effort, the SQ12 NOS CD player which had favorably impressed me with its price/performance ratio. Since then the SQ line has grown, adding the SQ88 (a KT88 push-pull amplifier of nice features) and the SQ84-V2, a 15-watt 6V6 amplifier that doubles as headphone amp. The SQ12 now also exists in SQ 12-t version with a tube output stage designed by Granite Audio. And to round out the offering, there's a phono stage answering to the sweet name of SQ-PH-1t (one of which came back home with me to feature in my upcoming series on phono preamplifiers). But the real purpose of the trip was to go and have a listen to the three new speakers. Built around horn-loaded compression tweeters from Germany crossed over around 1000Hz to stiff high efficiency paper cones, the speakers differ in tweeter membranes, horn design and woofer sizes (10", 12" and 15"). The transducers come from Europe, the enclosures from Asia and assembly takes place in Bensalem for prices ranging from $4800/pair (SQH10) to $9000 (SQH15). Starting with the 94dB-efficient SQH10 driven by a CD player and matching solid-state amplifier from AstinTrew which NAT distribution imports, the speakers with their tremendous top-end energy and detail sounded overly lean and analytical. Not my cup of tea. So we quickly switched to the JAS Array 1.1 2A3 preamplifier and Consonance Cyber 211 monoblocks for a radically different presentation. This fleshed things out yet retained tremendous detail, dynamics and soundstaging. There was still a hint of harshness on top when using the AstinTrew player which disappeared utterly when switching to vinyl. This was an extremely detailed presentation from a 15-watt amplifier and filled with energy but will require extreme care in component matching to avoid listener fatigue. Moving up to the $6800 97dB-efficient SQH12, one trades the plastic for a wooden horn separate from the main enclosure. The amplifier was the JAS Array 2.1 Paul Candy reviewed for 6moons, driven direct from the variable output of a Raysonic CD228 two-box player. The music grew to another scale but more importantly relaxed, all hints of tension or rush forgotten. Yet the speakers were even more dynamic and the resolution had not dropped one iota but was so natural and effortless that any notion of strain had evaporated. This was big and bold sound I could live with had I the room to accommodate such large speakers. Of course the 15-inch version was even more overwhelming but don't think about playing those refrigerator-sized boxes in a room less than 50m² large (and WAF will be low, way low). The SQH10 exhibited on rare occasions a little bit of that horn coloration, a hollowness in voices, that horn detractors rightfully point to as a weakness of such designs. However, I heard no such thing on the SQH12. It was as full, natural and coherent as can be. Of course this is not a review. A few hours spent with unknown speakers and electronics are insufficient to get any decent notion of what speakers can do but do mark me very favorably impressed by the enticing SQH12. At $6800 and still manageable of size (barely), it seems to be the sweet spot of the line. All three speakers have tremendous potential with their high efficiency, huge dynamics and a level of resolution that will be their strength and weakness alike to require finely honed electronics choices and avoid listener fatigue (SQH10). The Raysonic and JAS lines seemed well equipped for the challenge. Speaking of JAS, sitting on the side was a pair of monoblocks from their Bravo series featuring a 2A3-driven 805 with triple tube rectification that looked as though my name was written all over them for a future date. There was also a pair of 6C33C push-pull monos so new that they don't even feature on JAS' website yet though they looked stunning in their dark rosewood attire. At 100 watts per side, it seems they could bring 6C33C magic to most real-world speakers (and no, I did not have my digital camera on me). If you are in the Philly 'hood, take a few hours and stop by QFS just to say "hi!" and ask to listen to the new SQH speakers. You might discover what high efficiency done right can sound like. None of those speakers will win a prize for interior design but I doubt anybody hearing them will remain indifferent.